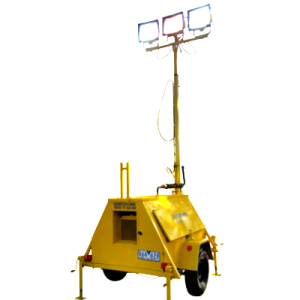 If you’re looking to capture the attention of passers-by, whether for advertising or traffic management purposes, you’ve come to the right place. 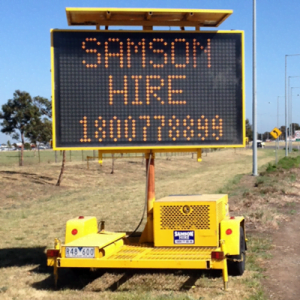 At Samson Hire, we proudly provide a wonderful selection of many different roadside signage for hire in Melbourne, all at fantastic prices. A wonderfully effective method of communication, these signs remain operational throughout the day and night, and the VMS (variable message signs) you can rent from us allow you to modify the message at any time remotely. What makes us Melbourne’s best roadside signage hire company? 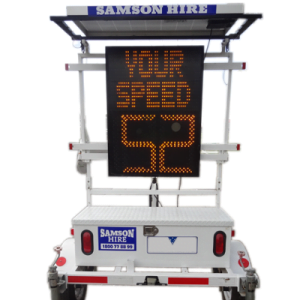 Our top-quality equipment available includes arrow boards, light towers and everything in between that will successfully get your message across. And with more than 15 years of experience supplying clients in businesses of all types, you can rest assured that when you come to us you’ll be getting nothing but the best equipment and service from start to finish. The team at Samson Hire is always here to assist, and with such a huge amount of knowledge in this industry, you know you’re in good hands when you choose us. Are you looking for a quote or some more information about any of the signage we offer for hire? 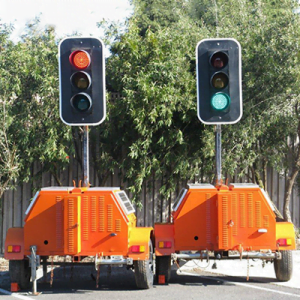 Call us directly on 1800 77 88 99 or, if you’d prefer, send us an online quote request via our contact page and we’ll make sure to get back to you as soon as possible.